Global agriculture implicates roughly ¾ of all freshwater use on Earth. With demand on the global food supply increasing with population growth, and agricultural systems falling under greater stress due to climate change, water security is under increased risk. Remote sensing of evapotranspiration—the amount of water evaporated off, or transpired by vegetation—offers the possibility to more accurately monitor water loss due to agricultural practices. And with more accurate monitoring, more efficient water use methods can be deployed. 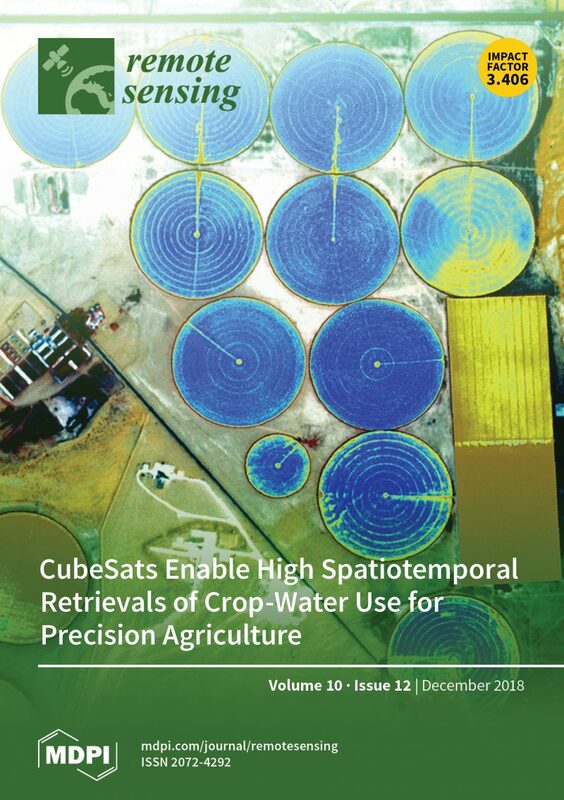 Bruno Aragon, from King Abdullah University of Science and Technology, and his team used Dove imagery to produce the highest spatial resolution temporal sequence of crop water use ever retrieved from space. Remote sensing of evapotranspiration implicates the flux of water, making it exceedingly difficult to accomplish compared to direct assessment of a spectral property of the vegetation such as NDVI. In order to estimate evapotranspiration, vegetation spectral reflectances are ingested into biophysical models that have been parameterized based on ground data. Then, remote sensing estimates are evaluated against measurement of evapotranspiration on the ground using eddy covariance observations—direct measurements of the flux of water out of the vegetation layer. Using this methodology, Aragon and team were able to explain 86% of evapotranspiration for maize fields in Saudi Arabia using Dove imagery. This unprecedented result opens the potential for greatly improved monitoring of global agricultural water use.